Me making snacks? Are you kidding me? Since when? Maybe those years back then or maybe every once a blue moon (Tea Eggs, Bonda, Sardine Rolls & Baked Cheesy Potatoes) and I must prior ahead right now confess that I didn't make these Medu Vada. No, no. Me not the vada or vadai making food hero (Rice Vadai). Honestly, I can'be bothered. What a waste of my time to making vada just for the two of us and how much can each of us possibly eat? Unless we are from the land of giant? 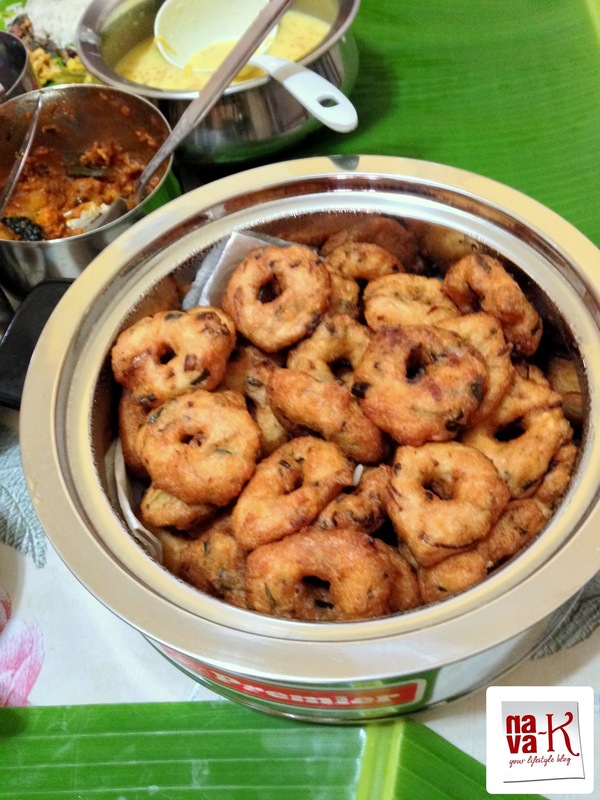 These medu vada were actually made by my aunt and me pinching the recipe, as well clicking the pictures when I popped by to her house. What a coincidence. She making vada and me without thinking twice doing the necessarily like I have already told you. The main open secret to making vada, our Indian soft and puffy savory snack? Vada by the way is the outcome of moong dal, chana dal or whatever dal you like (Punjabi Sabut Moong Dal, Cabbage Upkari & Palakura Pappu). These Medu Vada on the other hand are the results of ural dal/black dal skinless and the open secret is ensuring the consistency of vada batter. Otherwise, all hell breaking loose in your frying pan because vada will break or crack. That's all pretty much I know. Anything more, please don't ask me please. Ask all the vada experts. Medu Vada, a sincere and our true delight Indian snack can be dipped into sambar (Andhra Sambar) or chutney (Mint Chutney, Tamatar ki Chutney, Avocado Yogurt Dip & Mango Chutney) prior to tucking in or during festive seasons, vada is eaten alongside Parippu Payasam and papadam after our meal and in the same banana leaf. Yum of course (Rava Laddu & Rava Kesari) and for your information Medu Vada must be eaten once its still hot-hot out of the frying pan. 1 cup ulunthu/split black lentils - soaked overnight and grind/blend to a smooth consistency with water. Wet hands, take a bit of the mixture, flatten and made a hole in the centre with your finger. Do the same until the mixture is finished. Happy pongal day to you nava.. I don't know much abt Indian food..
Is it fried cauliflower in pic 5. Its been months that i had a whole course meal like that. Healthy feast for vegetarians. Looks very tempting. Happy pongal, so many yum yum dishes.. U lucky ur in laws made so many yummy treats . happy pongal dear.... yummy n tempting dishes... had been away for some while, back now, keep in touch dear ! Happy Pongal Nava! These vadas remind me of my Sunday breakfast when we lived in Bangalore. We celebrate Makar Sankranti today along the same lines but we have a lot of sweet treats instead. Hope you are having a great day! I love the look of the vadas. Glad you took these pictures and shared them. So many celebrations go by and sometimes being busy talking/serving, I simply forget the pictures. Your Pongal meal must have been delicious! Luce delicioso es una gran comida saludable,abrazos. Wish you a happy Pongal.. Love the recipe collection.. tempting..
Hi Nava, all the dishes look so inviting. 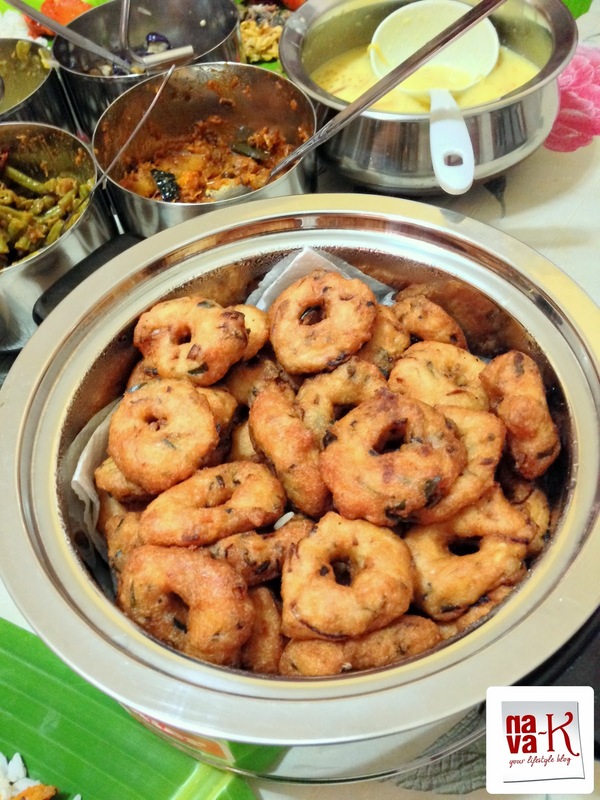 I love vadai with green chilli but yet to try black lentils version. Thanks for sharing your recipe.